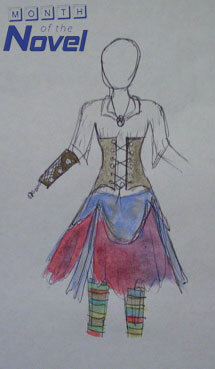 Here’s a peek at the costume concept art for a rather interesting character who is new to Season 2. Don’t forget, our Indiegogo fundraiser for Season 2 is still going! This entry was posted in Production Blog and tagged concept art, costume by Jordan. Bookmark the permalink.